Divorce can be full of obstacles. At CokerLegal in Frisco, Texas, our dedicated legal team is committed to helping you overcome these hurdles and assist you in reaching a dignified resolution. We handle a wide range of family law matters, including the division of marital property, child custody and child support, post-divorce modifications and adoption. 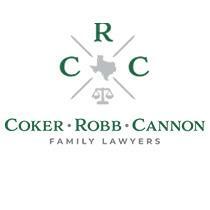 Our attorneys embrace traditional community values and are pleased that we have expanded our services in Denton to the Collin County area. We strive to provide you with exceptional customer service and always analyze the facts of your case with a local eye. It is our utmost aim to bring your legal matter to a timely and effective close so that you and your family can move toward a sunnier future. We have the skills, tools and experience necessary to help you work through even the most complex family law issues. Our lawyers are certified mediators and have the ability to resolve divorces in a manner that is both efficient and geared toward the preservation of valued parent-child relationships. When you retain an attorney at CokerLegal, you can breathe easy. We always make you a priority, and we are available to answer your calls and to respond to your questions. Our Frisco law office is open by appointment. We accept all major credit cards for your convenience. Our office will handle your case with care, and we will talk with you about the "unmarked obstacles" before they arise, making your experience as smooth as possible. We have been representing clients in all of these types of divorce and family law cases in Denton County, Texas, for more than 10 years. It is very important to obtain guardianship as soon as a disabled child becomes an adult or an adult becomes disabled. Adoptions are always filled with a mixture of emotions. Usually excitement is high on the list, but relief and happiness usually follow closely behind, particularly for couples that never thought they could have a family. Our family lawyers and legal assistants are experienced in representing clients in child support and custody modification matters.